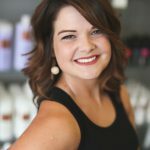 Alyssa became a certified cosmetologist 12 years ago at Empire Beauty School in Georgia. 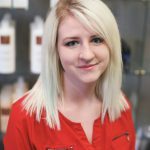 She has been with Trendsetters Design Group for 4 years and enjoys the fast pace environment, while specializing in hair coloring and cutting. She moved from Georgia to Indianapolis to be closer to family and friends and is a parishioner at Roch Catholic Church. In her free time she maintains a healthy lifestyle by running and working out.